With aspirations of becoming a child psychologist, Gayle King, a self-described “nosy kid,” found her true passion thanks to a local TV newsroom job during college. “I was hooked from day one,” she recalls. Since then, King has established herself as a power player in the notoriously fickle world of media. Today, she co-anchors the “CBS CBS -0.57% This Morning” show along with Charlie Rose and Norah O’Donnell, while also serving as editor-at-large for O, The Oprah Magazine. When I recently sat down with King to discuss her personal and professional journey, it became clear that a no-nonsense approach to life’s challenges has been instrumental to her success. Here are a few of the powerful life lessons she’s learned along the way which we can all take note from. There’s Always Somebody Prettier, Skinnier, Richer, Smarter. 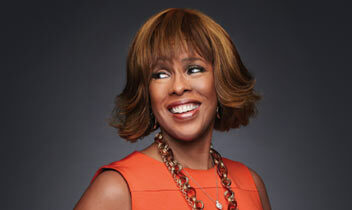 Clearly, Gayle King has figured it out.